Unspayed female cats will eventually reach a fertile period in life, which extends well into old age. Hormonal changes that prepare cats for breeding—a process called estrus or oestrus—begins around six to ten months of age. Since cats are efficient reproducers, their estrus, or heat cycle, can occur every 12 to 22 days, at which point she can successfully mate with one or more healthy suitors. 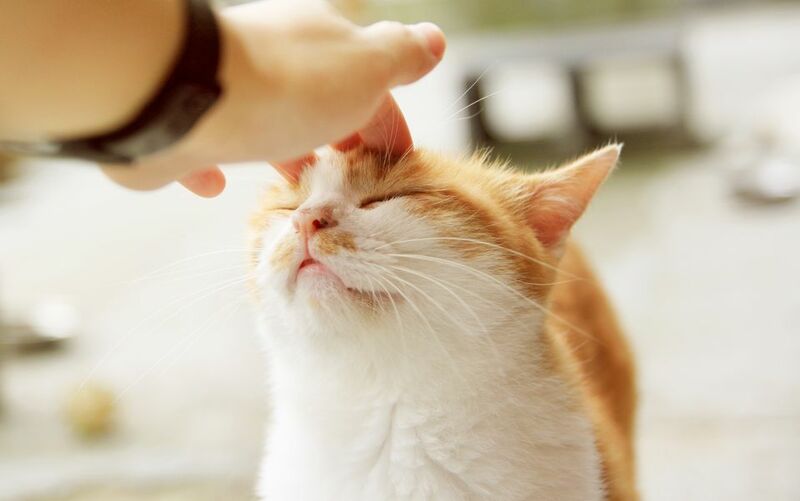 Since there's is no easy way to measure a cat's hormone levels at home, changes in her behavior can be an indicative sign that she, indeed, is in heat. Immediately preceding estrus, your female cat may become unusually affectionate. She may sidle and rub her hindquarters against furniture, stuffed toys, other cats, and maybe even you. You can distinguish this behavior from pure restlessness (a sign she may be in pain and need to see the vet) by the way she lifts her tail or even occasionally assumes the mating position. She may spend excessive time licking her genital area, even though there is no blood present. In fact, contrary to popular belief, a cat in heat should not bleed. Unlike humans, cats do not shed the lining of their uterus during their cycle. However, genital licking can also be a symptom of a urinary tract disorder, which can be serious if not treated promptly. If your cat exhibits only this behavior without any of the other signs of heat, a trip to the vet is in order. Your queen will vocalize loudly. This "calling" may go on for several days unless she mates. She will then assume the mating position: head down, forelegs bent, rear quarters raised to expose the perineum, and tail raised and held to the side of the body. This posture is called lordosis. And when she assumes it, her rear legs will tread rhythmically as if walking in place. A cat in heat, similar to a male cat, may spray vertical surfaces with a strongly scented fluid. To do so, she will back up to her surface of choice, raise her quivering tail, and may even perform the rhythmic treading described above. To the untrained eye, this looks like a sign of distress. Don't be alarmed, as this is normal behavior for a cat in heat (although a nuisance to you, if you value your furniture). When in heat, instinct—again—drives your cat to pounce towards the door when it opens. Outside is where potential suitors lie and her need to attract and mate with them becomes apparent. During this time, it is not unlikely for an indoor cat to run away for more than one day and up to a week, or more. If you're worried about this outcome, make sure to seal all escape routes and watch her carefully. You may even want to distract her with play to divert her mind from the task at hand. The reality is, unless you are a professional breeder of pedigreed cats, you should avoid letting your cat mate. Our country has a major pet population problem, so spaying and neutering are highly recommended to the average cat owner. Most vets suggest spaying your female cat no later than six months of age. And a cat already in heat can still be spayed, despite a mild increase in cost. Plus, spaying your cat will not only cease the uncomfortable heat cycles, but it can also prevent future medical problems related to reproductive organs. 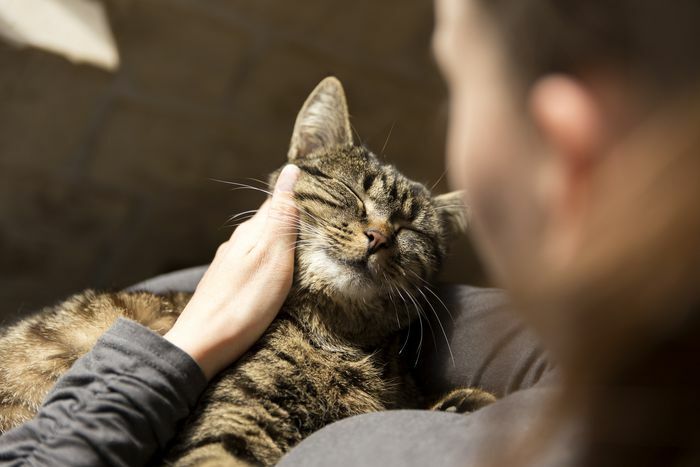 If spaying your cat seems like an expensive blow to your budget, some vets offer low-cost spay options subsidized by community organizations. Or, call your local animal welfare group and ask if they provide coupons for low-cost spays at regional vets. Your veterinarian can advise you on the most affordable options in your area—some that cost little more than your monthly cat food allowance.